Kaizer Chiefs coach Ernst Middendorp has hinted the club may drop Virgil Vries for the Soweto derby on 9 February at FNB Stadium. 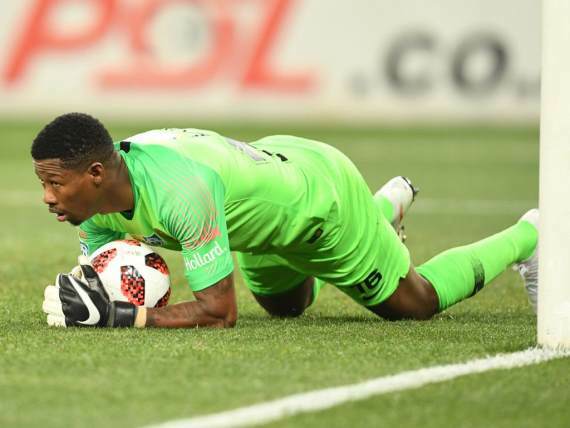 Vries has made a number of high profile blunders since replacing the injured Itumeleng Khune, who is out for the rest of the season with a shoulder problem. In Wednesday's 1-0 defeat to Cape Town City, he fluffed a relatively easy cross and Edmilson Dove was on hand to convert the winning goal. The Namibia international has also committed an error leading to a goal against Mamelodi Sundowns, as well conceding a soft strike against Zesco United. As such, it appears Bruce Bvuma or new signing Daniel Akpeyi could be in the sticks to face Orlando Pirates later this month. Middendorp told reporters: "I fully understand, I am not an idiot. I face the facts. "If you can't score, you need the goalkeeper to come through for the team and keep it 0-0. I am not happy with this. It is happening for the second time. What must we say? "We have to work it out in the next days and we'll see who is in the goalposts next Saturday. "It is nice to protect players but on the other side, you must be capable. An easy punch would have cleared the ball. "I am not going to sit here and say, 'oh my God, of course we didn't score, but can you not sort the problem at the back, at this moment? "I fully understand that the supporters are unhappy. This is not to throw somebody under the bus. We lost as a team. We will face it in a clear way and we have to design a training programme that will improve our scoring. "It was a very clear mistake, not a proper action was used. It shouldn't happen, not at this level."